For the Beauty of the Earth, or How I Rediscovered My Inner Spark | Sustainable Shanti Is Now Em & El Organics! This weekend, I’ve had the immense pleasure of visiting a dear friend of mine, Kristen, a talented organic farmer who lives on the edge of the Shawangunk Mountains in upstate New York. Kristen has one of those beautiful souls that shines through everything she does and says, and visiting her is always like returning home. As we spent yesterday afternoon covering her lettuce beds in preparation for a possible nighttime frost, I was reminded of how intensely satisfying I find being connected to the earth. This week has been particularly rough here at Sustainable Shanti with many potentially big, heart-breaking, but necessary changes looming in the near future, and as I struggle to come to terms with these decisions, getting my hands dirty in the soil and laughing in the sunshine was incredible medicine for my achy-breaky soul. Sitting here in front of the wood stove with a cup of excellent coffee warming my hands, I am able to slow and take stock of life as it currently presents itself. I believe in giving thanks for those who make our life journey easier, and I am grateful for friends like Kristen, who light my path when I can’t find my proverbial headlamp. 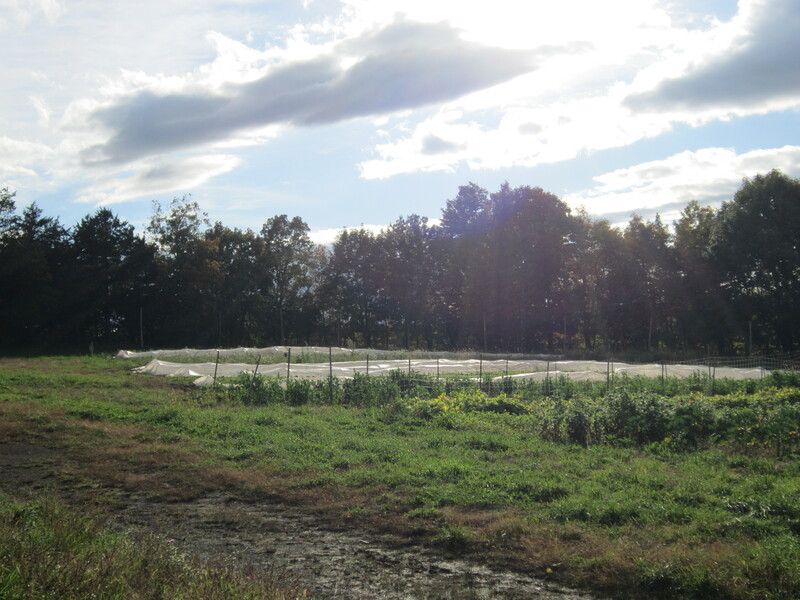 Despite the bumps in the road with Sustainable Shanti this week, Kristen and her farm remind of me of why I care so deeply about our planet earth and how we treat it: it is our home, the place that provides us with sustenance to live. In return, how can we not find a piece of our hearts to devote to nurturing stewardship in its honor? While I am a firm believer that we each have an opportunity to change our daily habits into more earth-nurturing ones, Sustainable Shanti is my greater giving platform. My dream is that it will enable me to not only help others take better care of themselves by utilizing nature’s bountiful sustainable gifts, but I hope it will eventually provide the opportunity to support other women as they embark on their own entrepreneurship journeys. This business isn’t just a money-maker in my mind; it’s a platform to create positive change in the world. Whether we admit it to ourselves or not, we cannot survive without the planet on which we live. There is no other alternative. With that in mind and the dirt still under my fingernails, my resolve to teach love of planet and of self has been reaffirmed. No matter what changes I will have to make to keep Sustainable Shanti going, I will do it because I cannot stop caring about my home. I hope that you all will join me in some way on this journey to be well, do good in the world, and spread love to all whom you encounter. This entry was posted in Uncategorized and tagged beauty, choices, environment, es, farming, nature, organic by sustainableshanti. Bookmark the permalink.